Everyone knows YouTube. Now Google also announced today, “Nearly one out of every two people on the Internet visits YouTube. YouTube has achieved yet another milestone that it has reached 1 Billion active users in a month. YouTube was launched in February 2005 and was sold to Google with the huge price tag of $1.65 Billion. Many attempts to make rival video sites like YouTube, but none of them can’t survive against the Big G with Massive audience. 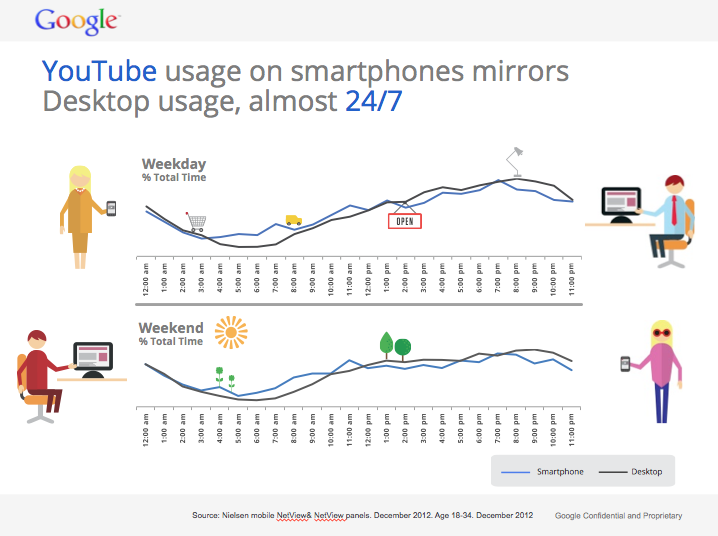 Gen C spends watching YouTube on their smartphones is up 74% from last year. In fact, in 2012 the number of Gen C viewers who regularly watch YouTube on smartphones caught up to the number of viewers tuning in on their PCs. 67% of Gen C watch YouTube on two devices or more, compared to 53% of the general population.